Phycocyanin (PC) is a natural fluorescent protein which is widely used in medical diagnosis, biology, biotechnology, foods, and medicine. However, the disadvantages in traditional purification methods, such as complicated preparation process, low yield, inadequate quantity, and high price, limit its range of application. In this study, we established a rapid purification method suitable for large-scale production to prepare PC from Arthrospira platensis. The membrane separation and two-stage ammonium sulfate precipitation yielded PC with a purity ratio (A620nm/A280nm) of 3.65. This purification method of PC proved to be efficient and cost-effective compared with previously reported methods. Sodium dodecyl sulfate polyacrylamide gel electrophoresis (SDS-PAGE) analysis showed that the molecular weight of α and β subunits of PC was 16.6 and 21.2 kDa. 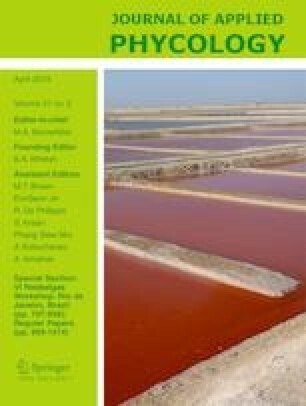 The main molecular weight of intact PC determined through high-performance size exclusion chromatography (HPSEC) was around 91 kDa, indicating that the PC from A. platensis existed mainly in the form of (αβ)3 at pH 7.0. 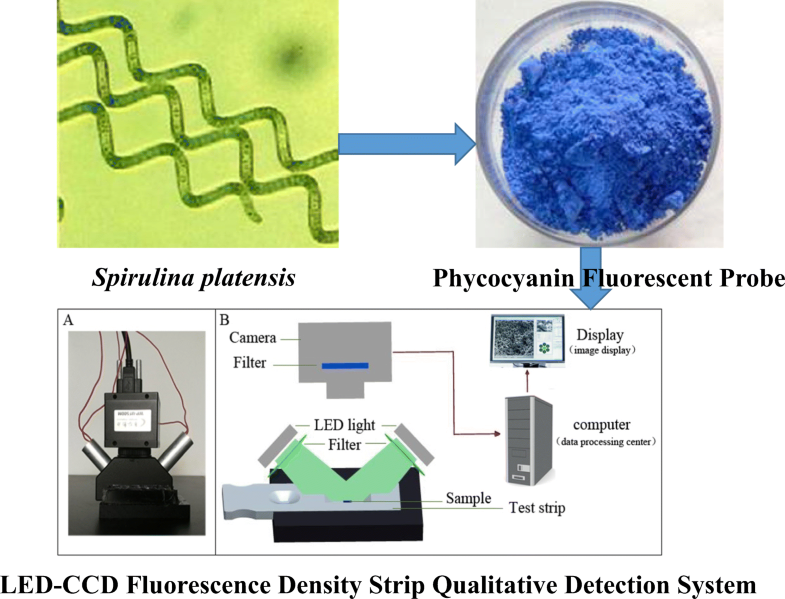 The purified PC fluorescent probe was compatible for light-emitting diode (LED)—charge-coupled device (CCD) fluorescence density strip qualitative detection system. A relatively sensitive novel fluorescent test method was developed for the quantitative detection of PC showing a linear response to PC within the range of 0.07–3.64 μM, and with a limit of detection of 0.034 μM. This method could provide expedient quantitative information and showed great potential for rapid detection in environmental and food safety research. This work was supported by Natural Science Foundation of Fujian Province of China (No. 2017J01854), Fujian Province Young and Middle-aged Teacher Education Research Project (JAT160655), and the Marine High-tech Industry Development Special Project of Fujian Province of China (Min Marine High-tech 01).